Singers, dancers, acrobats… at Sandos Playacar, the entertainment does not stop. Each night, your favorite beach resort offers the best entertainment under the moonlight, perfect for having an amazing time. Here are some of the best ways to spend your vacation in the Riviera Maya. To start, Barry Ivan White is joining the hotel’s nighttime entertainment program, where he will perform on the first and third Monday of every month to delight our guests with his soulful voice and unique personality. Barry Ivan White started his musical career at an early age, so he has achieved international fame for being an expert inevoking emotions. If you love acrobatics, the Circus Show is for you. You won’t believe your eyes with our talented artists’ best jumps and cartwheels. Children especially enjoy the show, so you’ll have to make sure they don’t try these acts at home! At Sandos Playacar we’re fans of the King of Pop, so within our repertoire of nightly shows we have a tribute to Michael Jackson, in honor of the footprint he left in popular culture worldwide. Known for his iconic dance moves and spectacular voice, Michael is honored by our showman, an international dance and entertainment expert. Have you been to the Divas Show? You won’t stop singing your favorite songs with incredible femenine voices honoring the most popular pop stars in the world! A perfect night to have fun with your friends! Did you know that you can meet your favorite characters? In the show “Heroes: The Parody”, the most incredible superheroes will make you laugh while saving the world in a performance that neither you nor the little ones can miss during a stay at the hotel. Don’t be shy at this next show! During the Fantasy Show, some children will be called to the stage to participate in fun games. We’re sure they will treasure this vacation memory for years to come. And if you’re a fan of Disney songs, this night is perfect for singing along without others thinking you’re crazy. Well… who cares! Our week cannot be complete without the Mexican Show, a night during which we honor the richness and culture of our country through colors, a festive atmosphere and a lot of folklore. Experience a night immersed in the purest Mexican traditions in true Sandos Playacar style. 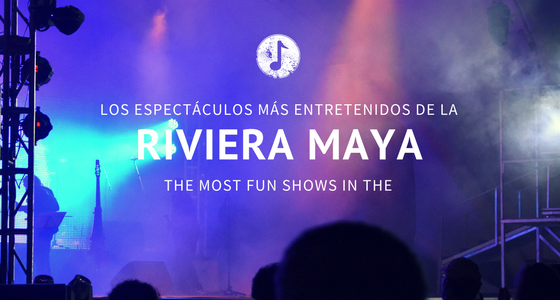 If you’re staying at Sandos Playacar soon, make sure you know which shows will be happening during your stay so you can check out your favorite one, or all of them!